A customer in Midland, Tx needed an unconventional solution to a common problem. StoneWall was tasked with designing that solution. 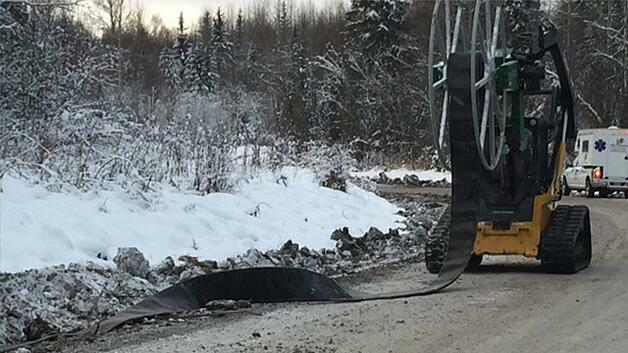 The problem involved the deployment and retrieval of layflat hose for water transport. Our customer needed a unique oilfield design that would be able to easily adapt to their current equipment. If you want to know how we can help you contact us below. The equipment needed to be light, fast, and easily adapt to their existing forklift hydraulics. 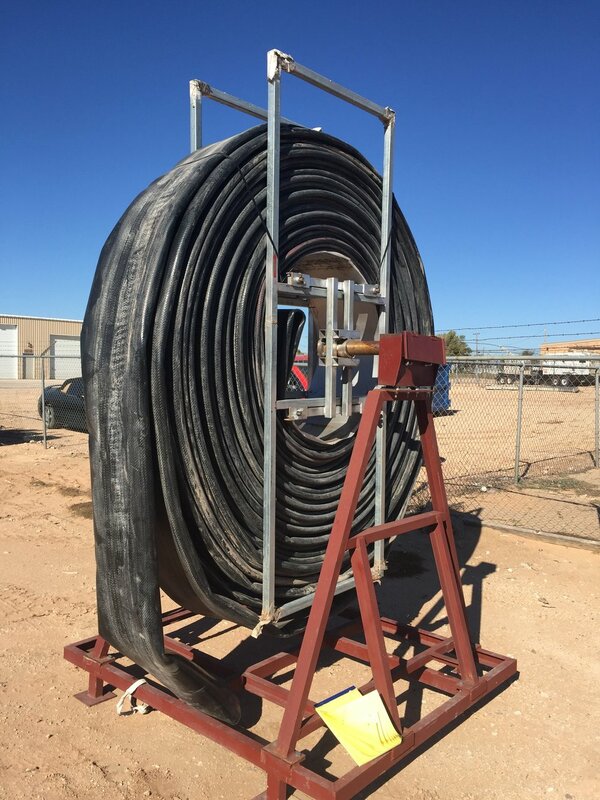 The first part of the process involved a trip to Midland, Tx in order to reverse engineer the hose reel to be designed around. Once the trip was complete, we used hand sketches and picture to initiate our design via Autodesk Inventor and Fusion 360. 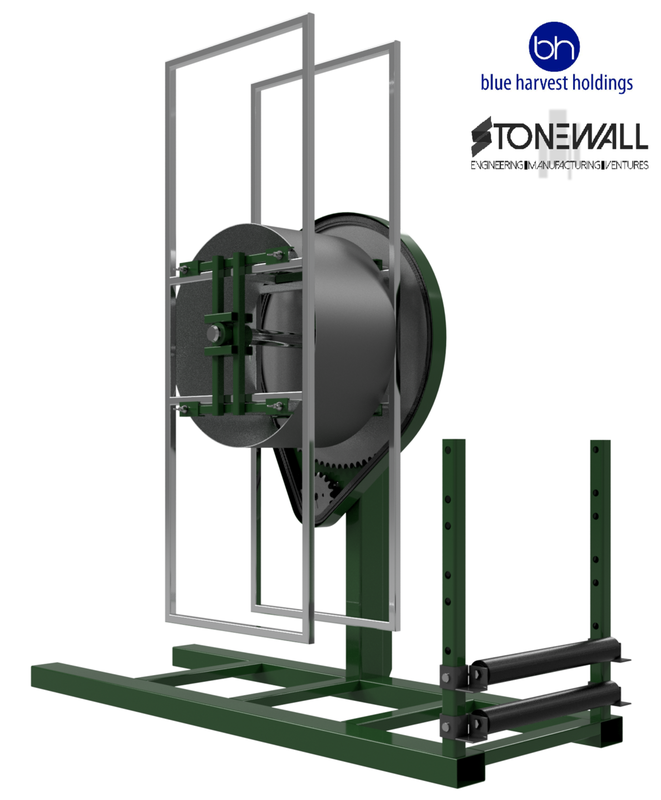 StoneWall was able to solve the customer's perceived problem through structural, mechanical, and hydraulic design. We delivered a full engineering package which included manufacturing prints, full Bill of Materials (BOM), engineering calculations, and finite element analysis (FEA). During the drilling and completions process of unconventional (horizontal) wells to access oil and gas resources, an average well requires a substantial amount of water to be brought both to and from the well pad for hydraulic fracturing. Trucking the water can be complicated, highly variable, and expensive. 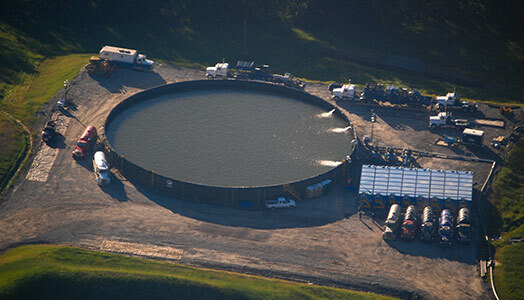 To mitigate these issues, operators utilize a network of pipe connecting multiple pad locations, pits, tanks, water sources, treatment facilities and disposals. This system provides a seamless network for water supply and re-use.